"My two great passions are painting and animal welfare. I believe that all animal species should thrive in their natural habitat and be free to live independently. Painting allows me to strengthen the connection I feel with nature, particularly birds and animals, and provides a channel to highlight threats they face". 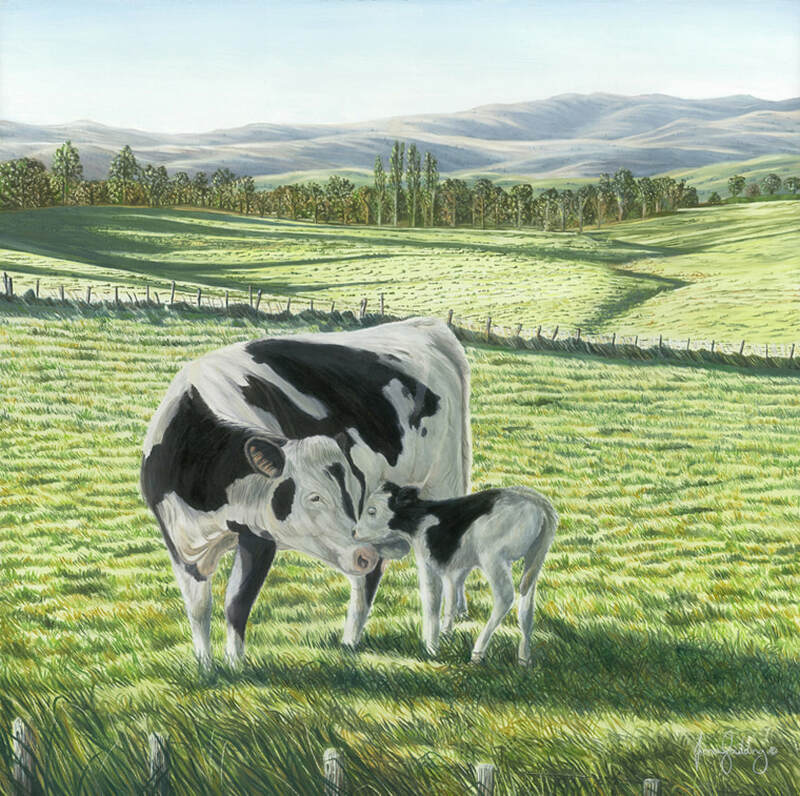 Fiona Goulding (AFC) is a New Zealand artist whose finely executed oil paintings have often been described as 'exquisite'. 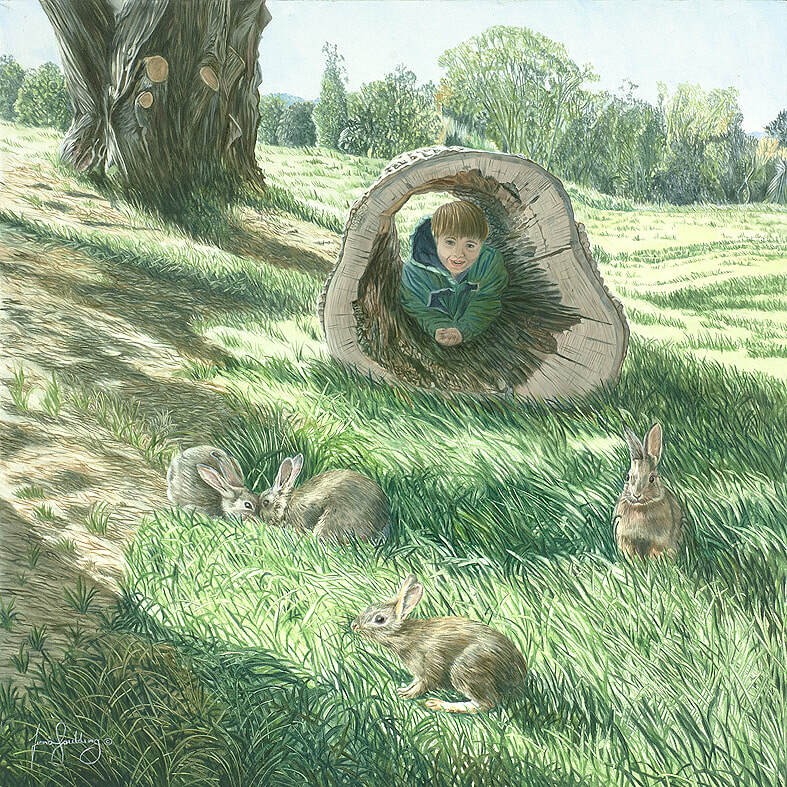 Predominantly interested in nature and with a passion for conservation and animal welfare, Fiona's work covers a multitude of subjects including birds and animals, flora and feathers and landscapes. 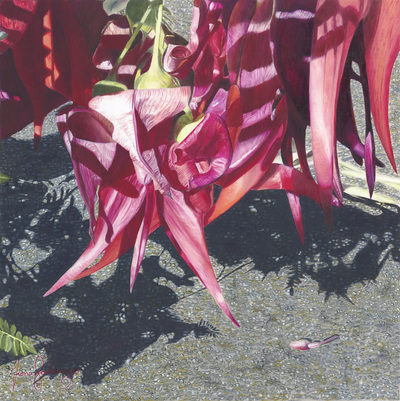 Fiona's work has won national and international awards and her work has sold to collectors worldwide. Learn more about the artist here. Fiona is committed to supporting nature. 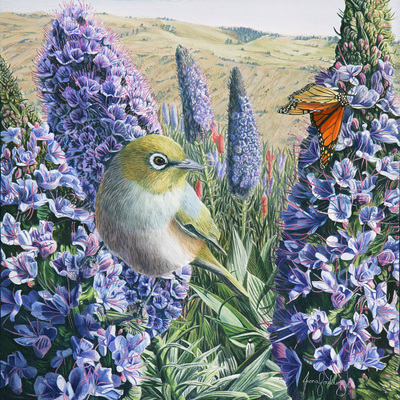 She is New Zealand's first member of the world's leading artist group supporting the environment: 'Artists for Conservation'. Fiona sells prints of her work, donating proceeds to conservation and animal welfare charities. Read conservation and animal welfare issues which feature in Fiona's work. 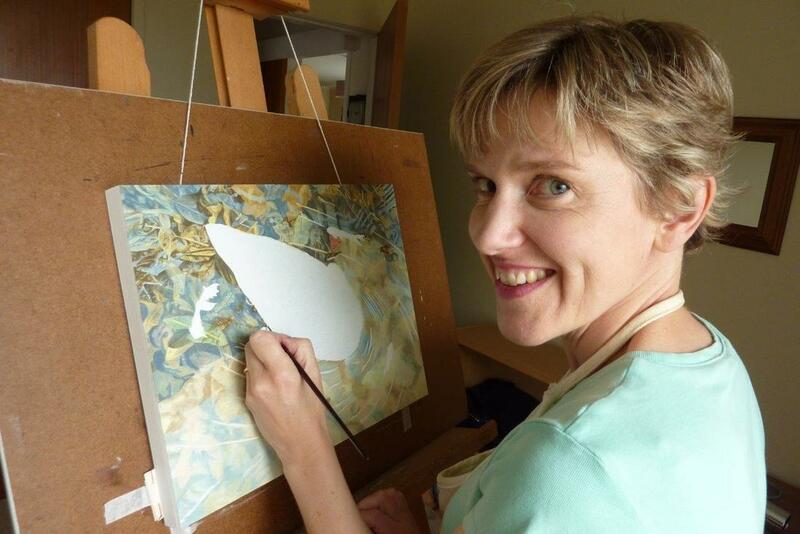 Fiona won 'Special Prize: Painting' in December 2018 at the International Palm Art Awards. She has previously won Palm Art Awards in 2017 (Certificate of Excellence), 2012 (Special Award: Old Masterly) and 2010 (Certificate of Excellence). Fiona's work can be viewed at the online exhibition run by LA Art Guide called 'Embrace Our Animals'. It is an international animal art showcase and can be viewed here. Fiona's painting 'The Circus' shown above was selected as a finalist at the Dunedin Art Show for the Dunedin Casino Art Show Award and the Lawson's Dry Hills Wine People's Choice Award. 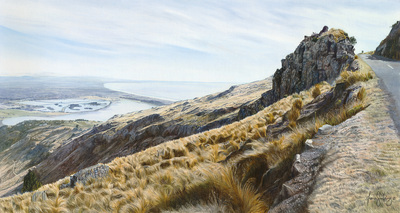 'The Circus' is also featured in the 2019 'Contemporary New Zealand Art' calendar. 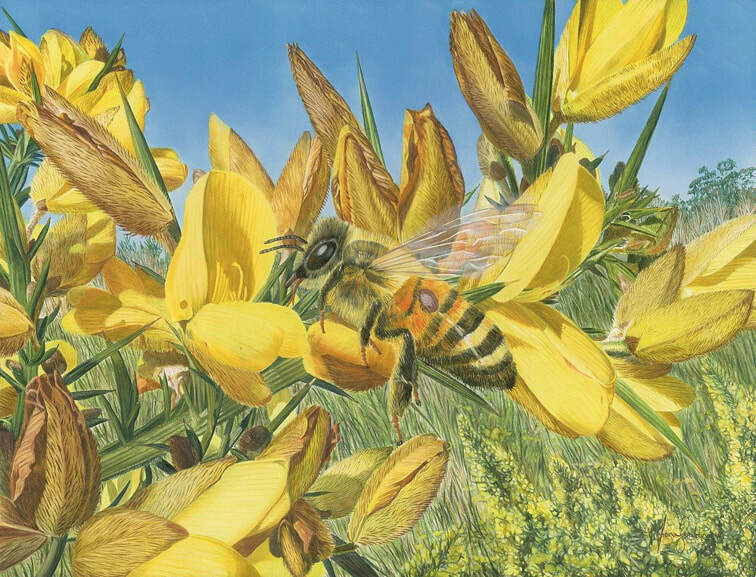 Fiona's paintings 'Susceptibility' and 'Bee Aware', shown above and below, appear in the 2019 'Artists' Impressions of New Zealand' calendar. "No matter how difficult life can be at times, such beautiful things like your paintings just make my day." "Your paintings remain utterly utterly stunning!" Receive Fiona's quarterly newsletters with information on her latest works, conservation initiatives and exhibition news. She only sends occasional emails and never shares your details.